LONDON, GREAT BRITAIN (09/JUL/2013.) - The U.S. intelligence ex-technician Edward Snowden has not formally accepted the offer of asylum by the government of Venezuela, as reported on Tuesday b the WikiLeaks website, after a Russian lawmaker sparked a great deal of confusion about the legal status of the consultant confined in a Moscow airport. 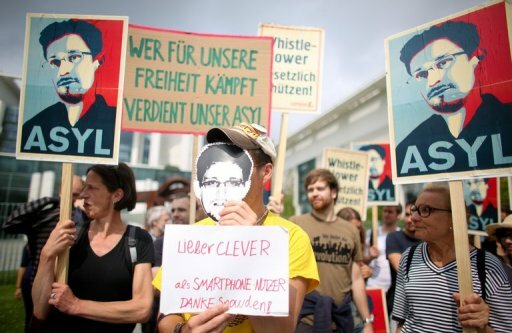 "Edward Snowden has not formally accepted asylum in Venezuela. Pushkov - Russian lawmaker already deleted his post in Twitter," WikiLeaks said on its own account in the social network. "The states involved will make an announcement when the time comes. That announcement will be confirmed by us," added the message of WikiLeaks. At the conference, the lawmaker Alexei Pushkov, chairman of the Foreign Relations Committee of the lower house of the Russian parliament, had said in a message on Twitter that Snowden had accepted the offer of asylum made by Venezuela. Pushkov himself subsequently eliminated that message and later reworked the text to attribute the news to a Russian television network. WikiLeaks supports Snowden and maintains a person in the transit area of Sheremetyevo Airport in Moscow, supporting the ex intelligence officer, while he is waiting for a solution to the case.